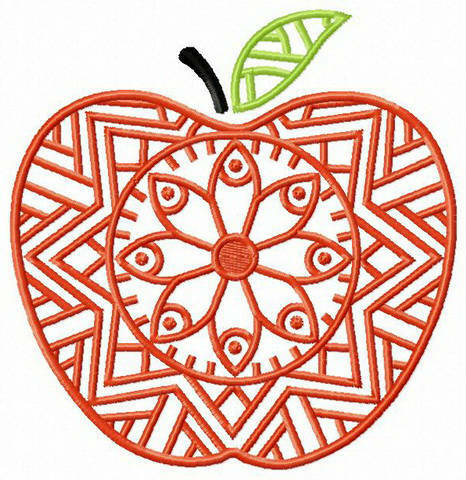 Check out this embroidery design from our kitchen and cooking collection featuring a floral apple. 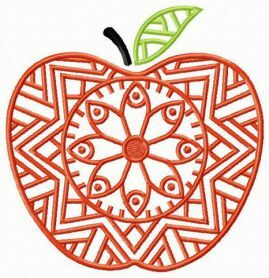 The insides of the apple are made of some intricate geometric and floral patterns. The color palette includes honeysuckle, erin green and black. This original needlework will come as an excellent decoration for your dining essentials such as napkins, tablecloths, aprons, dish towels or oven gloves. The application is also perfect to create a unique and distinctive restaurant space. 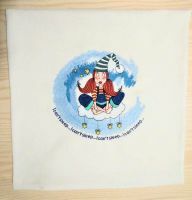 This embroidery design is compatible with all sorts of suitable fabrics. Decorated with the floral apple several napkins and a towel in the kitchen. Looks simple but nice. One more perfect purchase from the shop. 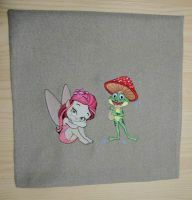 And the price of the embroidery patterns and service are also great. 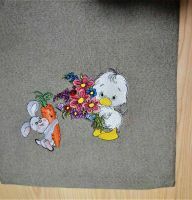 I always purchase beautiful patterns for my grandchildren and myself from the store, digitizing is ideal. I recommend!